Sorolla discovered Impressionism during an 1885 visit to Paris and took its revolutionary approach to light and color back to Spain with him. There he developed his own style, characterized by large, strong brushstrokes, and soon his international reputation was established. Sorolla's special ability to render the play of bright sunlight on the sea, on sand, and on figures along the beach has been praised by critics. 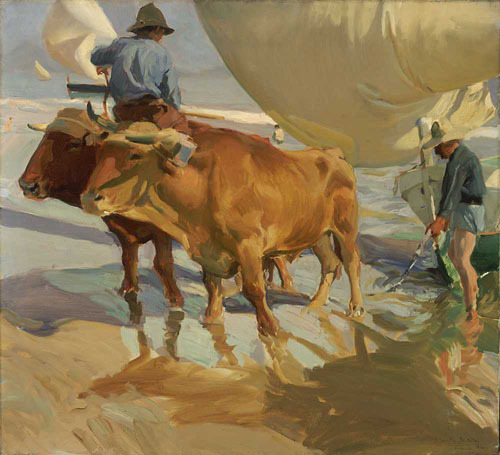 "Oxen on the Beach," which features all three surfaces, is a brilliant display of Sorolla's talents.